Welcome to Best Western Plus Fresno Inn! Stay right off of Highway 41 at our Fresno hotel where a great location is complemented with comfort and the best service in town. Near Cal State University of Fresno, this property is a favorite for visiting academics as well as students. 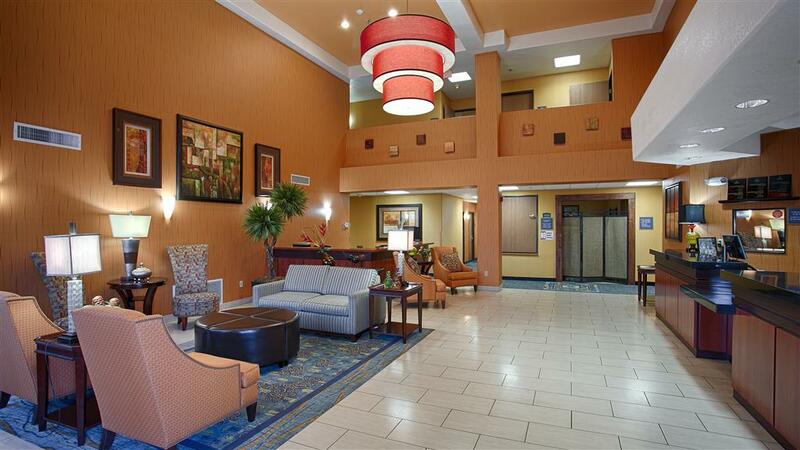 Hotels in Fresno offer easy access to some of the most popular destinations around. Whether you have business to take care of on campus, such as a loved one's graduation, or you're here to stay within walking distance to major shopping and dining, there's something for everyone at Fresno hotels. Enjoy a 100% smoke-free property with an on-site fitness and business center to make you feel right at home. Complimentary amenities such as hot breakfast, Wi-Fi and long distance calling ensures that you can keep connected while you travel and the most important meal of the day is guaranteed to be just what you need to start your day off right. Before heading for a hike at Sequoia National Forest, fill up with endless hot waffles, fruits, pastries and Arabica coffee. The World Ag Expo brings scores of travelers to the region, and our Fresno hotel is a favorite for those in town to discover the beauty of Yosemite National Park. From the King Canyon National Park it's an outdoor lover's paradise. Service men and women with the US Army consider us their home away from home, and civil servants with the USDA are regular guests. Whether you're here for the California Southern Baptist Convention or you're with one of many retailers at the shopping mall, you deserve the best of hotels that Fresno has to offer. We are one of the newest Best Westerns in Fresno, centrally located near Highway 41 which allows access to Highway 180 and 99. Tucked back from the main road, the surrounding area is peaceful and quiet. Book your stay at Best Western Plus Fresno Inn today! Enjoy your stay. Flemings Steak House: Across the street from Flemings Steak House, full service, American, open for: lunch, dinner, elegant full service steak house and cocktail lounge. Yen Ching Restaurant: Across the street from Yen Ching Restaurant, buffet, Chinese, open for: lunch, dinner, Chinese and Mandarin cuisine. Also serves cocktails.